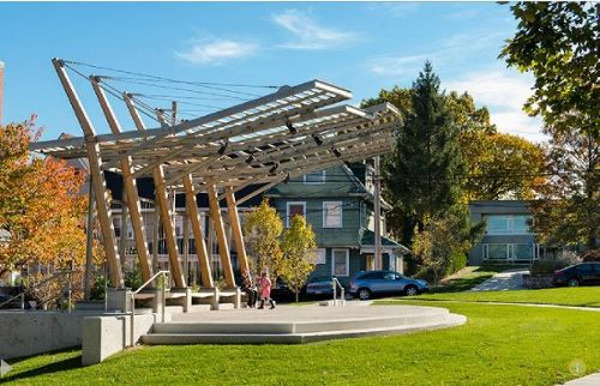 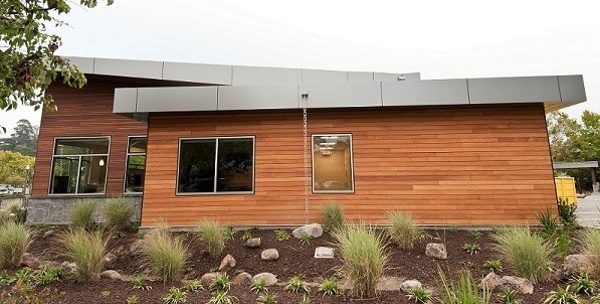 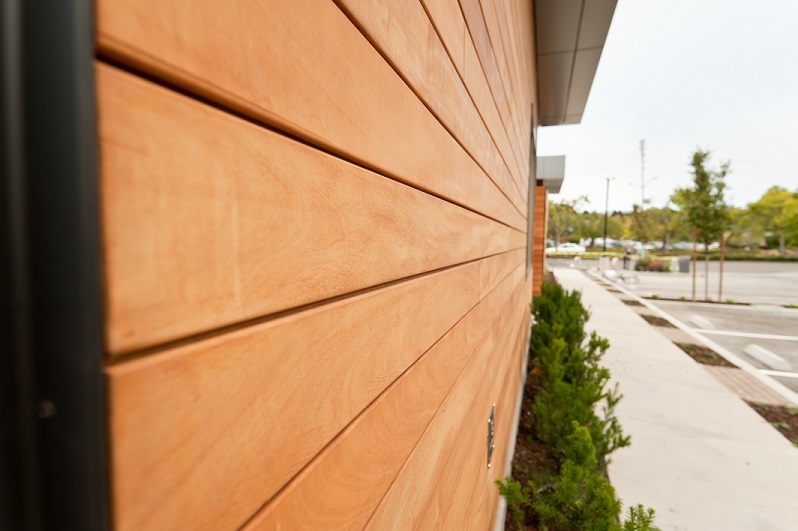 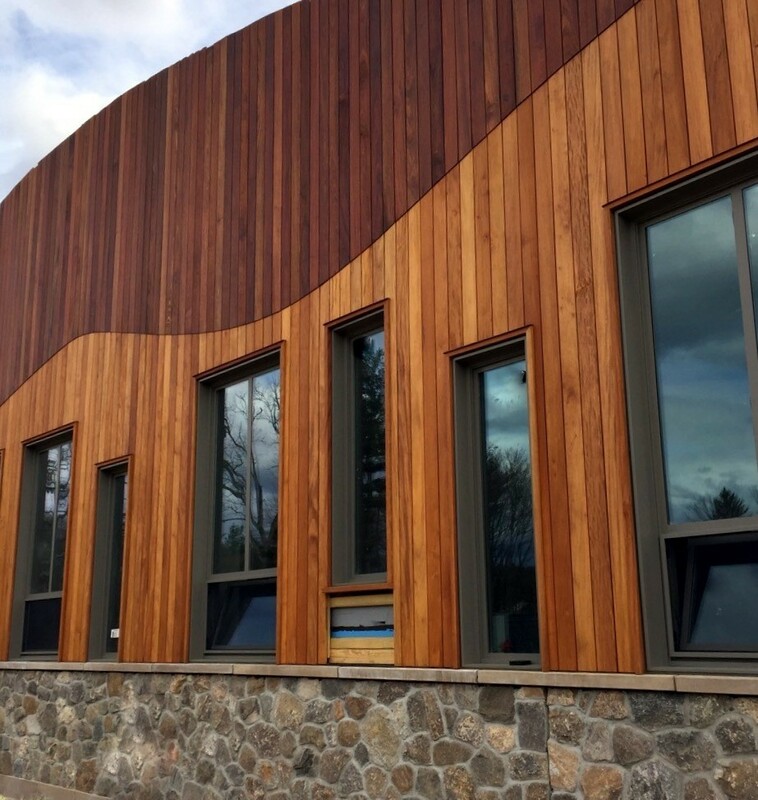 Mataverde® Garapa Rain Screen Siding is a beautiful and sustainable architectural cladding option that is extremely resistant to shrinking, splintering, cupping, twisting, checking and warping. Garapa's light honey blonde tones and soft looking satiny grain will turn a lovely silver color if left to age naturally. 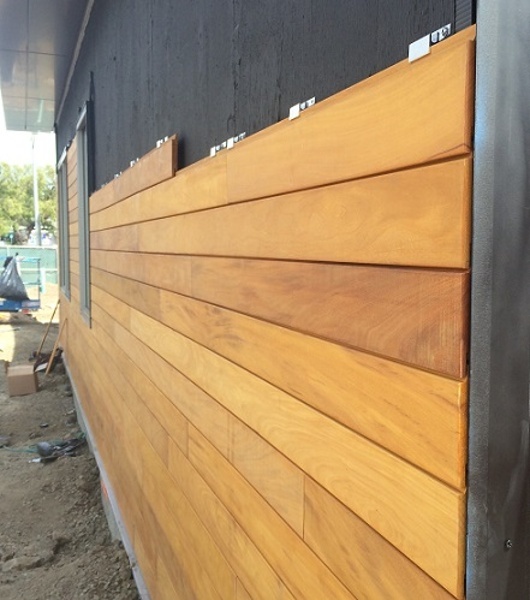 Please select individual Garapa Rain Screen Gallery photos below to enlarge. 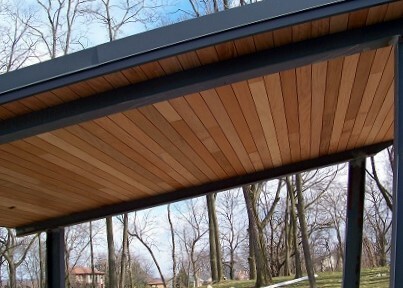 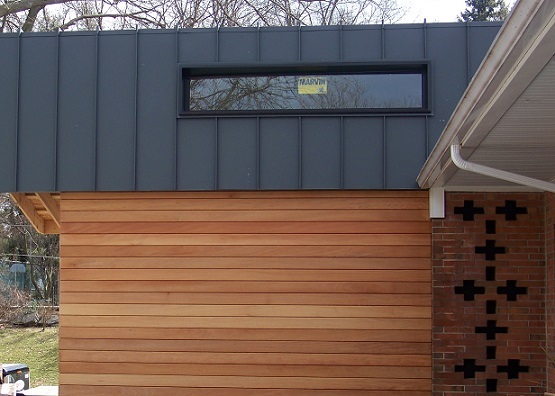 Garapa rainscreen siding can be used for soffits, too. 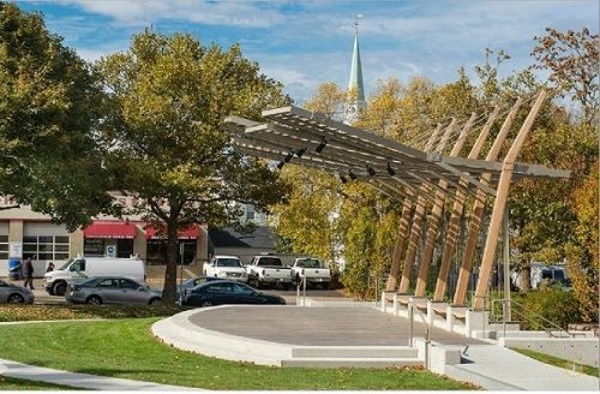 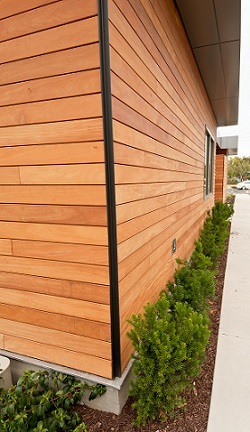 Climate-Shield Rain Screen aluminum outside corner assembly- shown here with Garapa hardwood cladding and tan corner. Garapa rain screen cladding has beautiful golden tones.